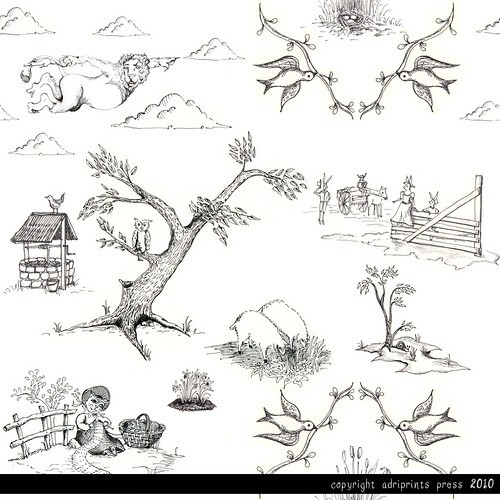 January 11, 2010 Adri H.
A little about toile de jouys... Turns out that these types of prints (printed textiles) have been around since the 1700s and originated in France in a small village near Versailles by a German-born entrepreneur(Christophe-Philippe Oberkampf). The designs were at first mainly floral textile motifs printed on cotton using wood-block printing techniques.